There’s a lot to love about the Yarra Valley. Vast open spaces, magnificent countryside views, amazing nature and wildlife and of course, some of the best wineries and local providores around. A place where you can truly indulge in life’s simple pleasures, in a lush and tranquil setting. Spending a day in the Yarra Valley is a must, but spending a few days is total bliss. 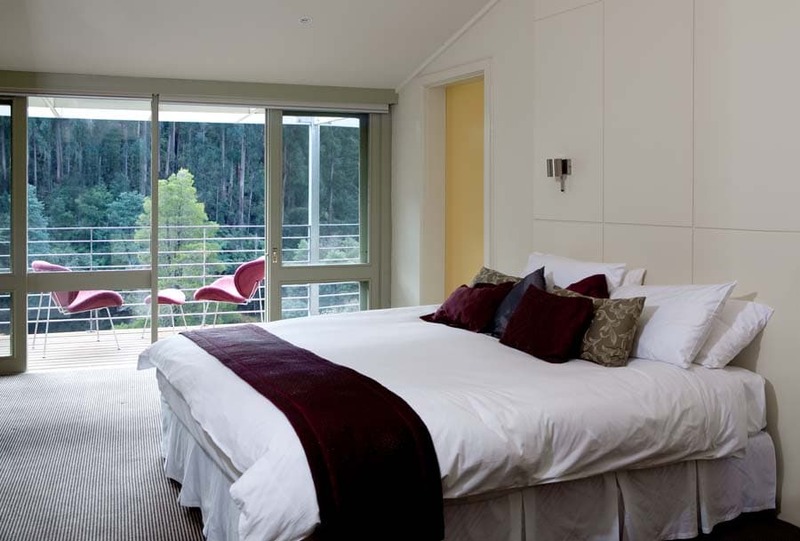 Whether you’re gathering a group of family and friends for a special occasion, or simply planning a luxurious private getaway, Big Yarra Views is unlike other holiday accommodations. 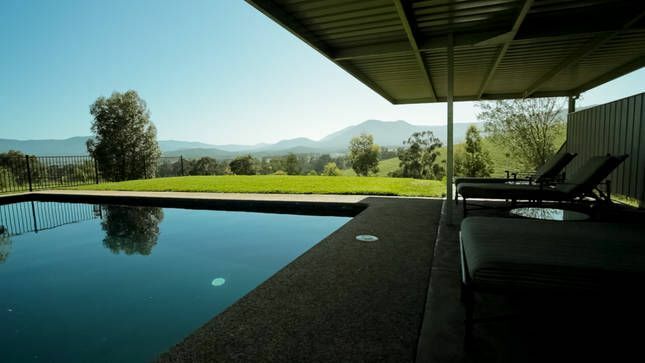 Set on 55 acres in the heart of the Yarra Valley, this private property provides endless views of the Yarra Ranges, with resort style comfort and amenities. With some of the Yarra Valley’s most popular wineries only moments from your doorstep, including Rochford Wines, Soumah and Hanrahan. 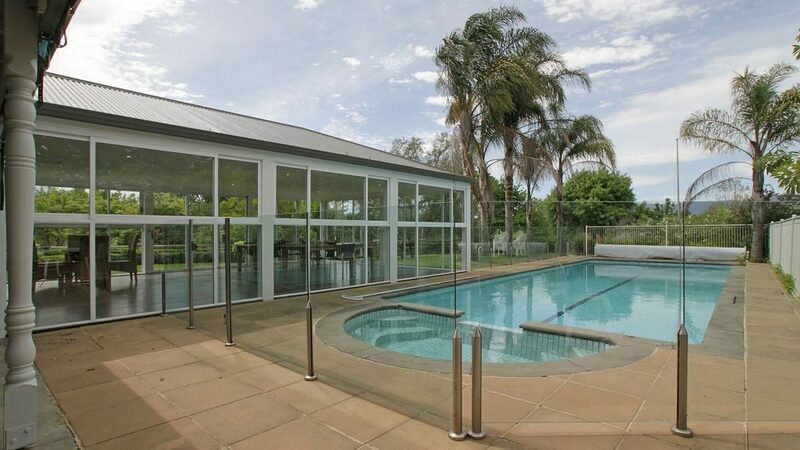 Able to accommodate up to 8 guests, with spacious living areas, large main bedrooms with ensuite, professionally appointed kitchen and an outdoor entertainment pavilion with pool, Big Yarra Views is sure to leave a big impression. 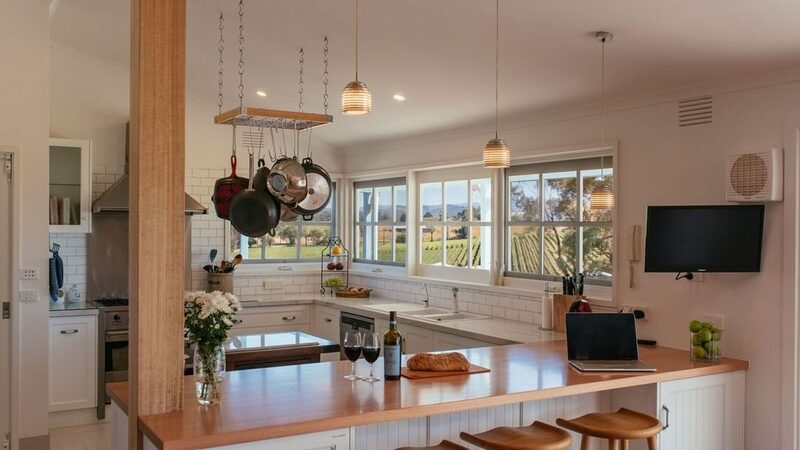 A luxury vineyard cottage all to yourself…sounds perfect, right? 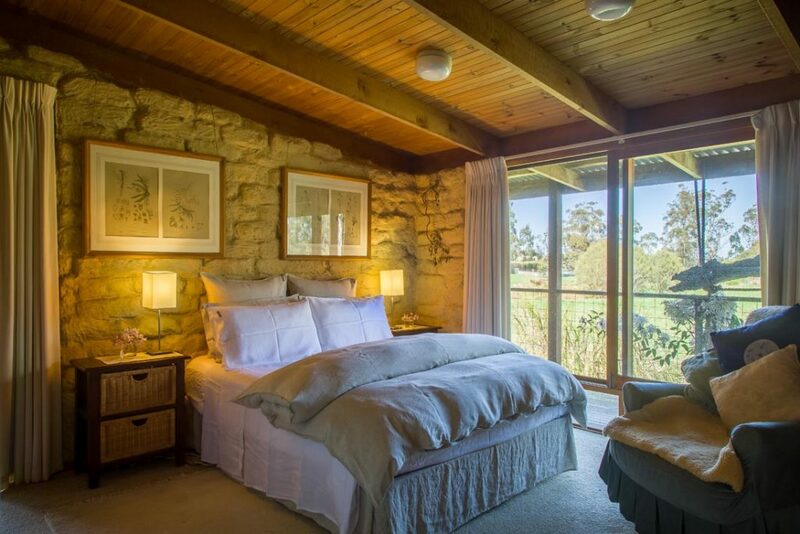 This beautifully furnished cottage is perched amongst the vines of Soumah Vineyard, deep in the heart of the Yarra Valley. Fully equipped country kitchen and with enough space to host 1-3 couples for an unforgettable weekend in Victoria’s premier wine region. 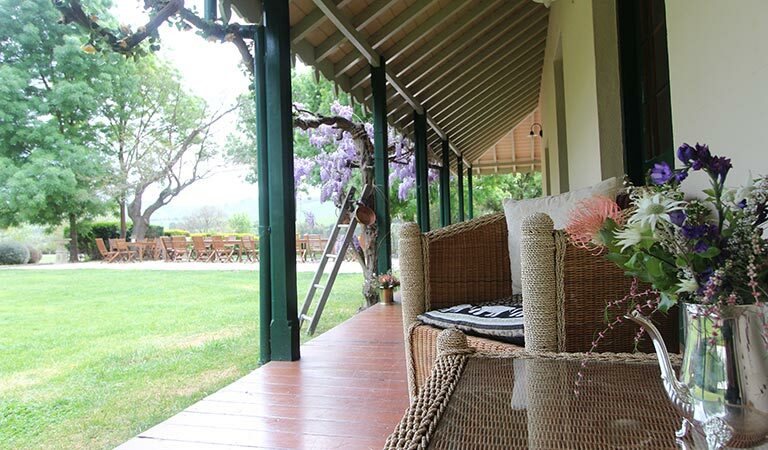 Take in the country air while enjoying a bbq on the wrap around deck, or take the one minute stroll to the Soumah cellar door for a wine tasting and the best in Northern Italian cuisine. 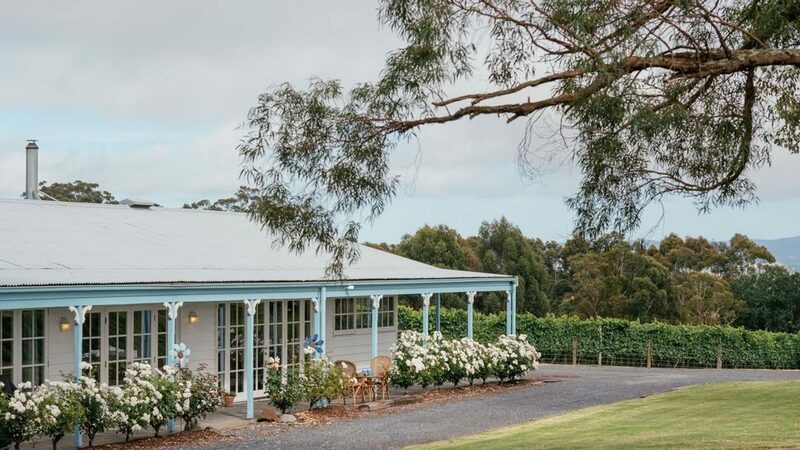 Neighbouring vineyards include Hanrahan, Pimpernel, Levantine Hill and Rochford Wines…what more could you ask for? 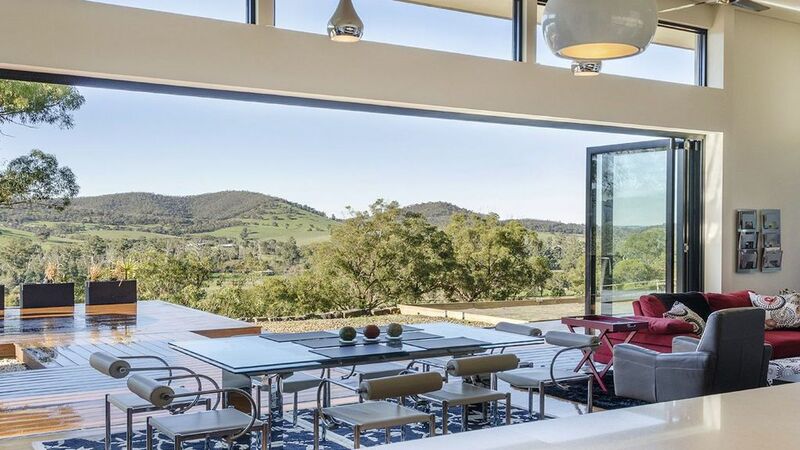 Grand views and luxury comfort at every turn is what awaits you at this impressive Yarra Valley home situated in Steels Creek, the rural centre of the Yarra Valley. 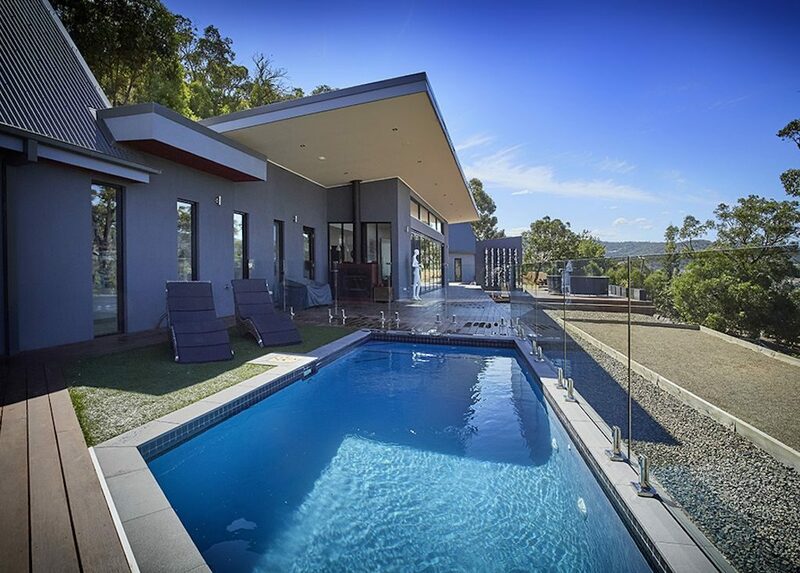 The house sits on 20 acres of land and boasts some of the most amazing views that stretch all the way out to Mount Dandenong and surrounds. Outdoor entertaining never looked so good with a huge deck area complete with custom built solar heated pool, outdoor fireplace and large sun deck. You can even take a private trail which leads to breath-taking views over Kinglake National Park and watch the sun set over this amazing piece of land. 3 large king size bedrooms and 3 bathrooms ensure comfort and convenience for an indulgent weekend away. 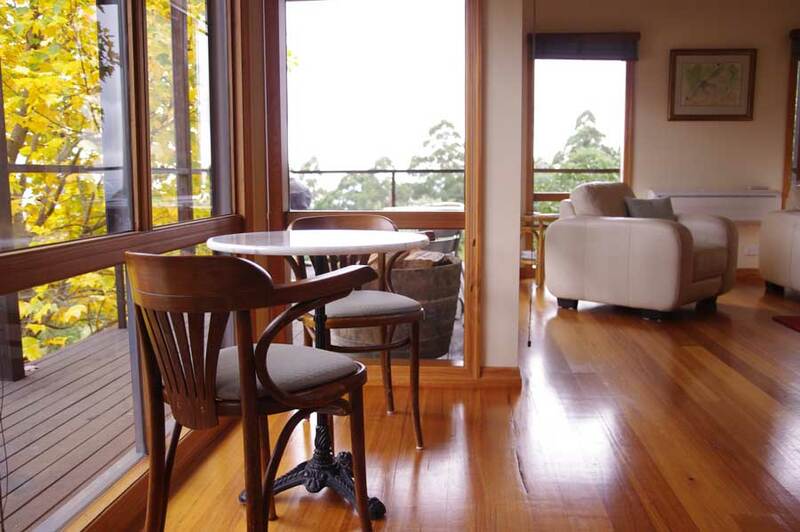 Luxury apartment convenience within 100 metres of Main Street Healesville. 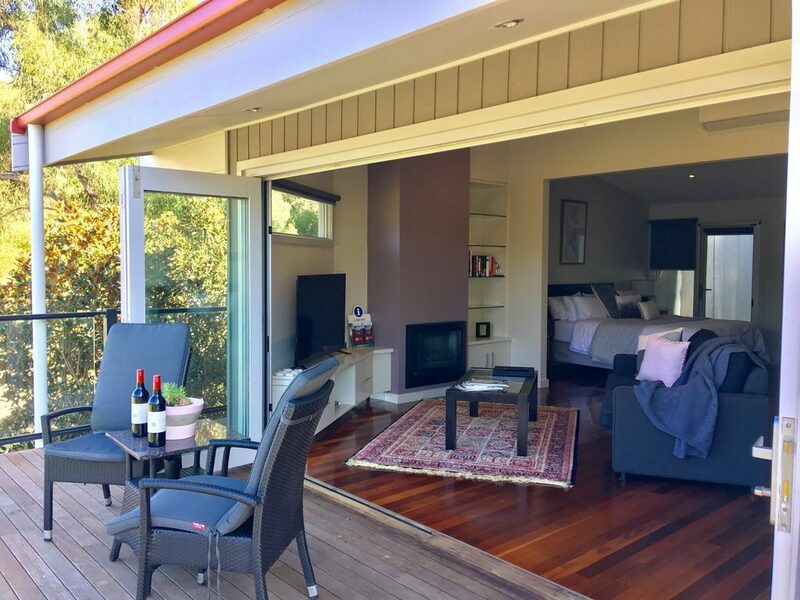 This property is best suited for couples wanting modern accommodation within a short walking distance to the many attractions Healesville has to offer. Four Pillars Distillery, Payten & Jones Wines, Watts River Brewery and the Healesville Hotel are all only moments away. 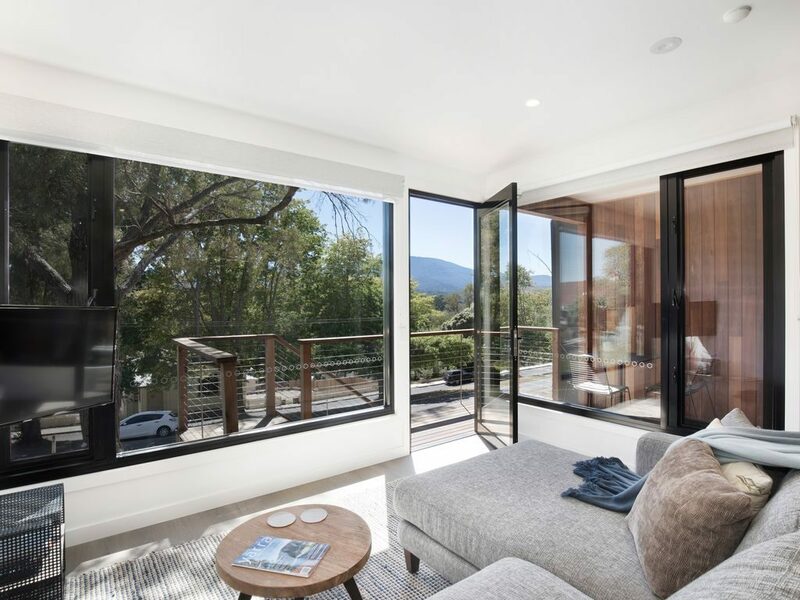 Apartment living doesn’t mean you have to sacrifice that country feel though, as the Brooklands Apartments offer stunning mountain views from the living area and outdoor deck. 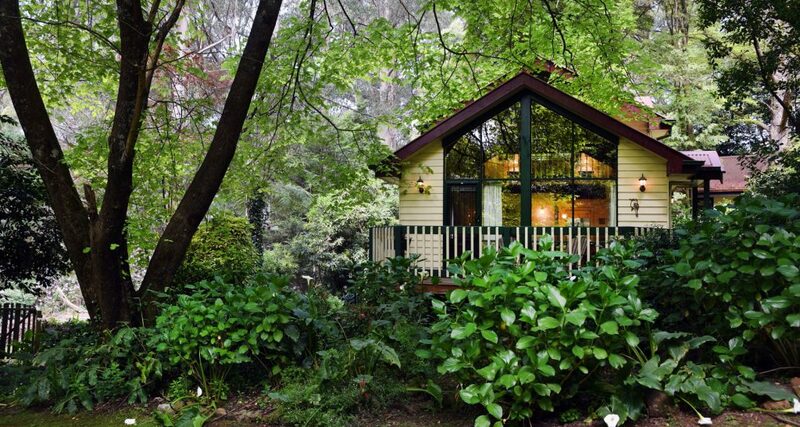 Experience the calm and tranquillity that comes from a mountain view cottage, all within a short walk to the centre of Healesville. A great way to get away from the busy city life but still have the convenience of all that you need, right at your fingertips. What makes a stay at Oakview Cottage all the more special is your connection to nature. The spacious outdoor deck offers glorious views of Mt St Leonard and the opportunity to feed the local kookaburra’s and cockatoos over breakfast. Perfect for a couple who would prefer to take advantage of the amazing local produce on offer and prepare meals at home, whilst still being close enough to the town centre. With wine country weddings becoming more and more popular, this property provides the ideal luxury base for friends and family on the big day. The home is set on a huge 70-acre property, with over two acres occupied by beautifully landscaped gardens for you and your guests to enjoy. The home is welcoming with large open and light filled living areas, four bedrooms and the capacity to host up to 8 guests. Even if you’re not planning your nuptials, this is one property you are sure to fall in love with. 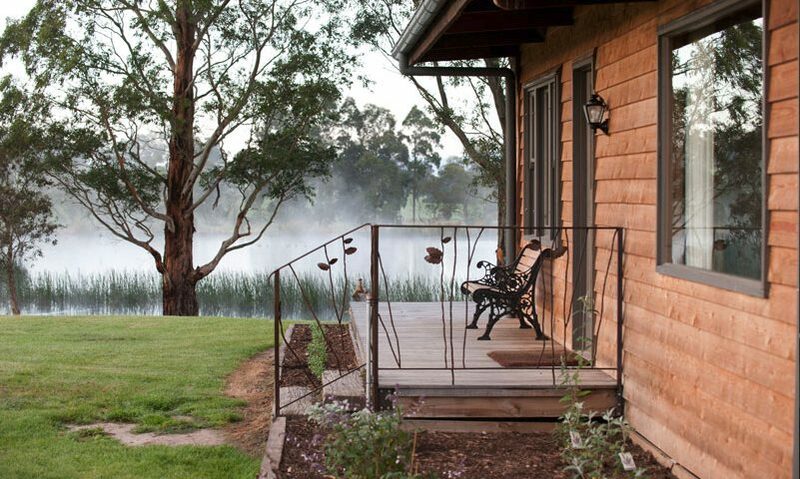 Capture the feeling of true farm life living with a weekend away at Birch House in Yarra Glen. 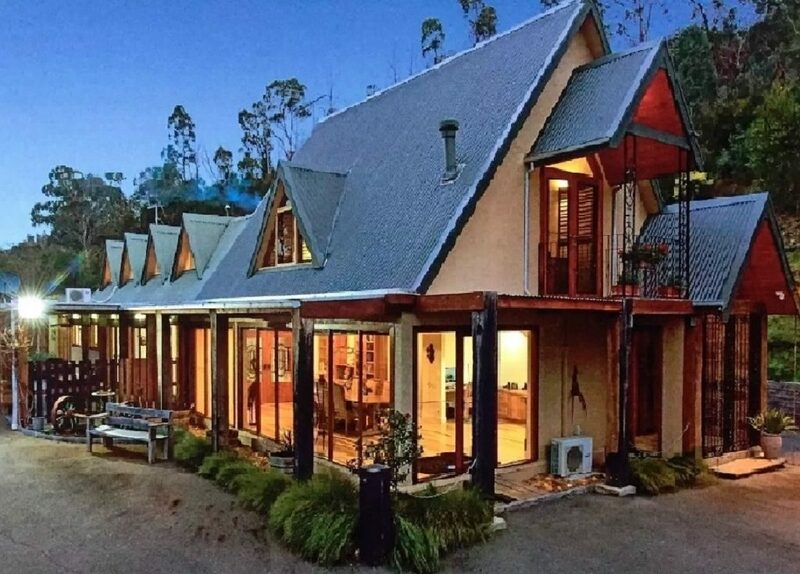 The striking gabled roof of this retreat is sure to make an impression, as are the interiors of this beautifully furnished and architecturally designed home. Enjoy endless views from the covered outdoor dining area, or relax inside as you warm yourself by the fire. 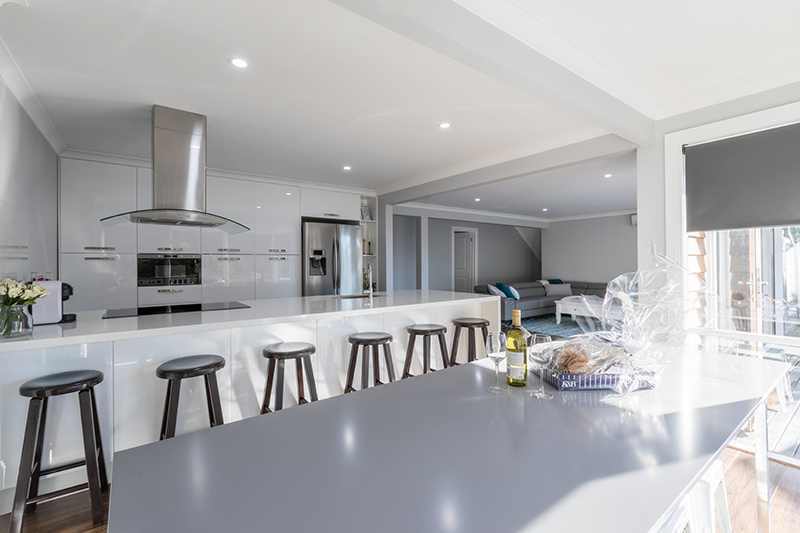 With an abundance of the Yarra Valley’s finest wineries within reach, and Yarra Glen township only moments away, this is the perfect accommodation for families or a large group of friends looking to explore the area in a charming a rural setting. 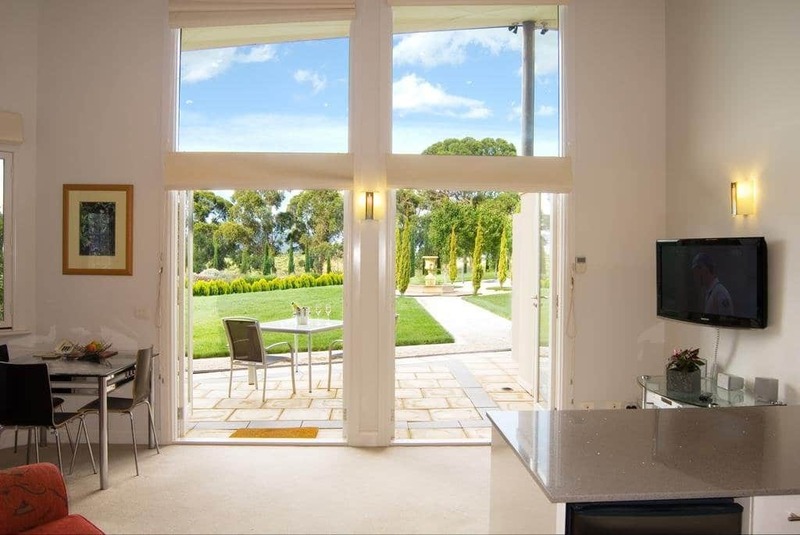 A luxury homestead within walking distance to some of the best wineries in the Yarra Valley. Yarra Yering, Coldstream Hills, Maddens Rise, Dominique Portet and Oakridge just to name a few. Historically, this particular area is well known in the valley as being the site for some of the regions first ever vine plantings. 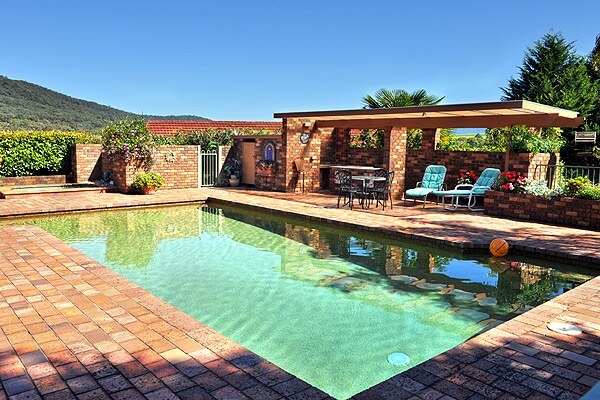 House on Maddens has everything you could ever imagine needing in a wine region accommodation including several dining and entertaining areas, swimming pool, bbq area and over 40 acres of farmland and gorgeous gardens. 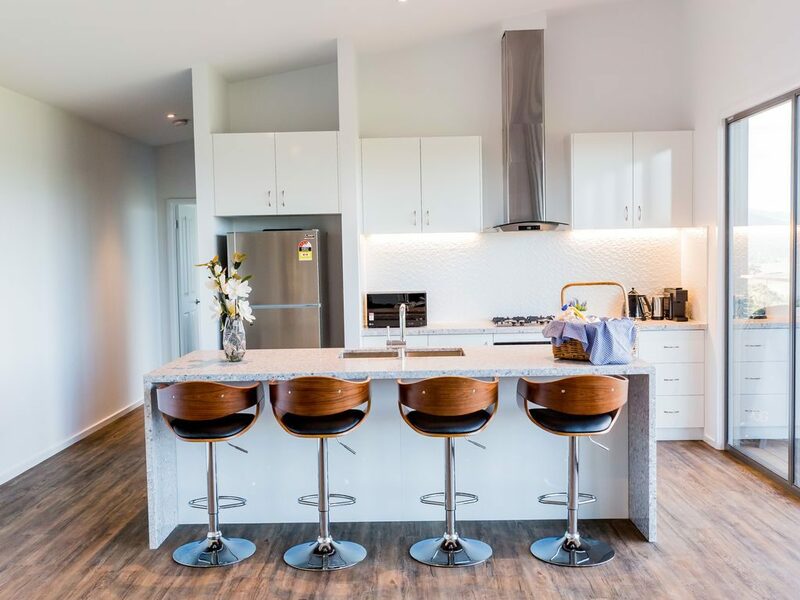 The house can accommodate up to 10 guests and makes the perfect retreat for a group of foodie friends looking to explore the premium wine region that is the Yarra Valley. 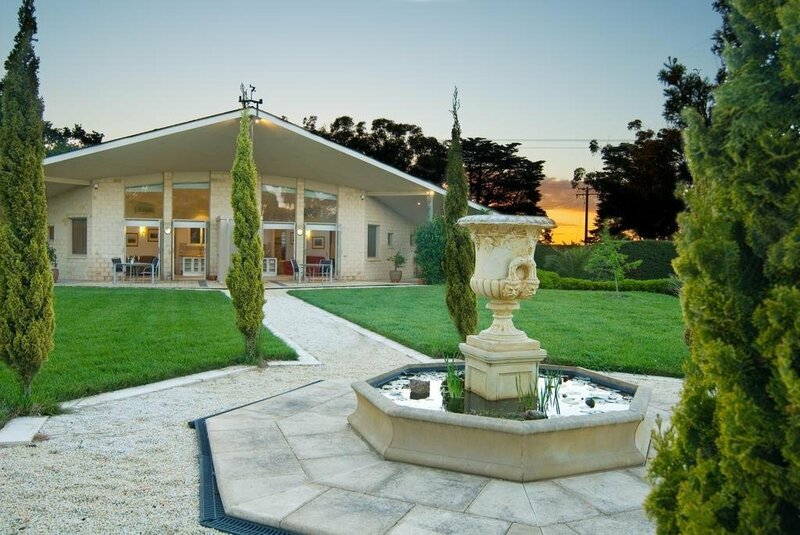 Located on the sweeping planes of Yarramunda Farm, you’ll get so much more than you bargained for with a stay at Angus House. Unbelievable 180 degree views of the beautiful Yarra Ranges, surrounding vineyards and vast farmlands will leave you lost for words. 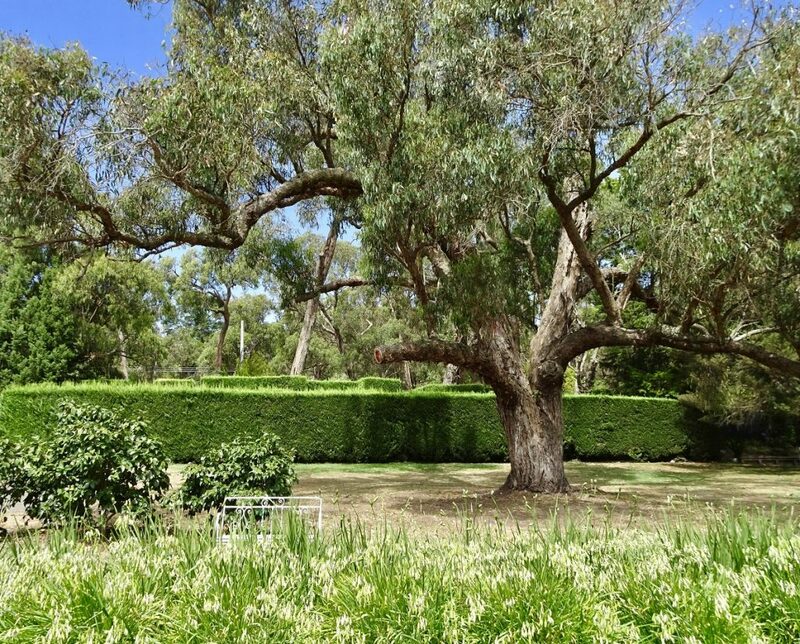 The property is also home to a working cattle farm and prestigious Australian horse breeders. Inside, you’ll find a well-appointed, luxuriously furnished house that can accommodate up to four guests. 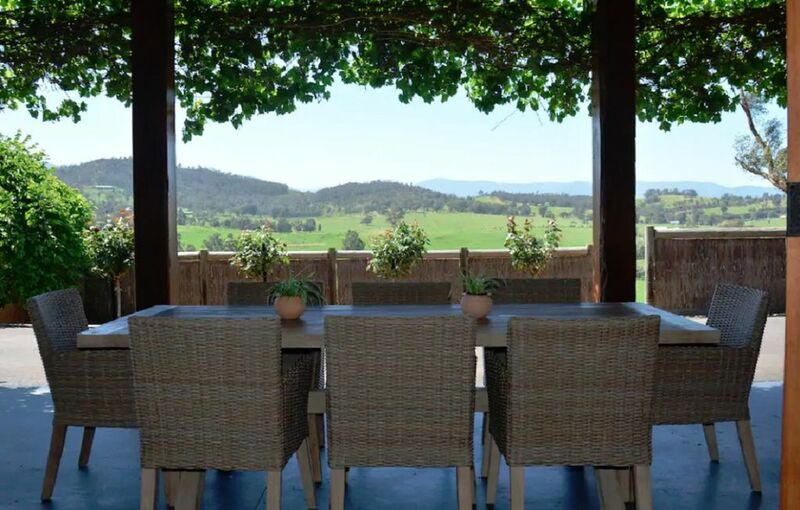 Step outside onto the deck at the end of a busy day wine tasting with some local produce and a bottle of Pinot, and marvel at the most picturesque landscapes of anywhere in the Yarra Valley. Steels Creek is a quiet little corner of the Yarra Valley wine region that makes for an ideal escape from city life. 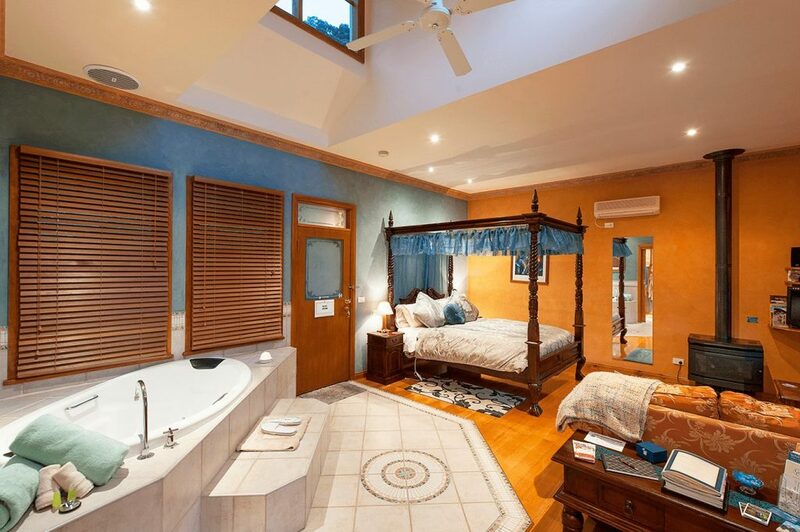 The Hilltop Villas from Araluen Boutique Accommodation offer a unique slice of paradise for couples who are after self-contained privacy with all the comforts of home. 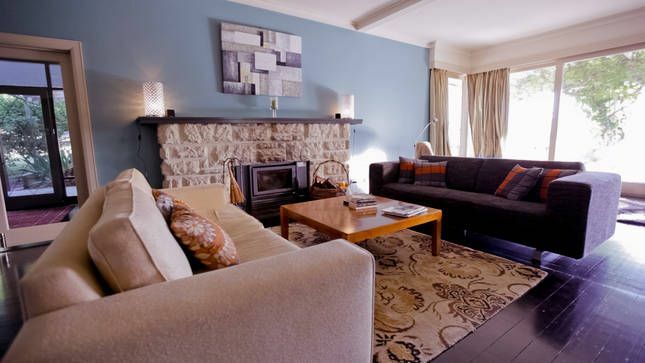 Gas fireplace, large flat-screen tv, complimentary wifi and Bose sound system are all included. Provisions are provided by Arulen if you choose to prepare breakfast yourself at the villa, for those sleepy mornings where you just want to do nothing more than take in the serenity. 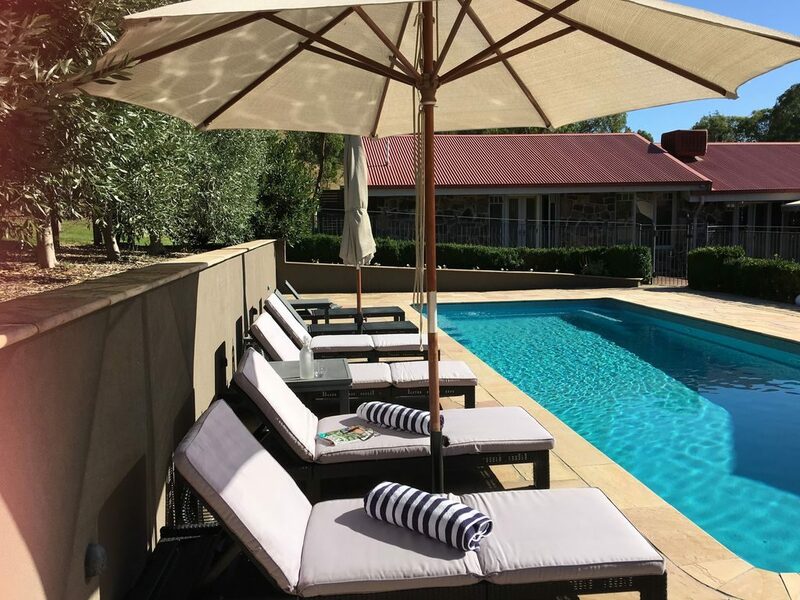 The many prestigious wineries of the Yarra Valley are also just minutes away if you ever decide to leave the peace and tranquillity of your villa, with Yileena Park, DeBortoli, Mandala and Zonzo only a short trip from your home base. Escape the hustle and bustle of city life, and feel the relaxation and calm sweep over you the instant you arrive. 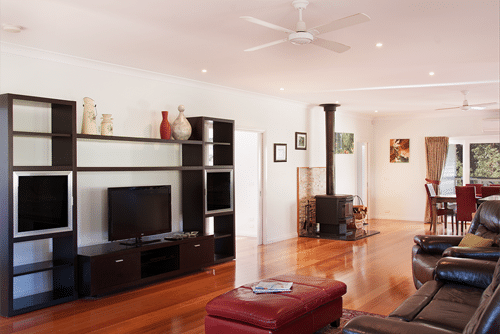 More than cottage accommodation, The Burrow is home to an array of wildlife, birds, possums and frogs surrounded by a beautiful man-made billabong. This is an idyllic retreat for those who truly desire to immerse themselves in nature, while providing an excellent base to explore the Yarra Valley. The Burrow is suitable for a couple or a single person, so privacy and seclusion is guaranteed. Country gourmet breakfast of local produce is provided for guests to prepare, as is a complimentary Yarra Valley cider with crackers, cheese and fruit.. With a private entrance and carport, sunny lounge, fully equipped kitchen, bbq facilities, spacious bedroom with ensuite, this cottage provides all you need and more. This exclusive property features just two one-bedroom cottages, making it ideal for that peaceful getaway. Only one hour from the big smoke, you’ll feel like you’re miles from civilisation. The architecturally-designed mudbrick and timber cottages have large windows overlooking the hill into the Yarra Valley. 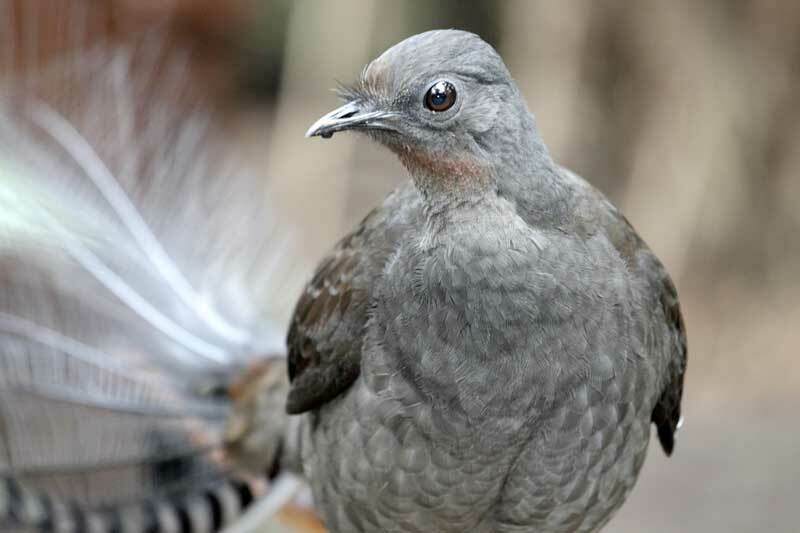 Surrounded by native forest, it’s the perfect spot to view the wildlife and a spot of bird-watching, including the native Lyrebird for which it is named. While there are plenty of activities in the surrounds, if you’re feeling like you don’t need to venture out there is an in-house massage service. 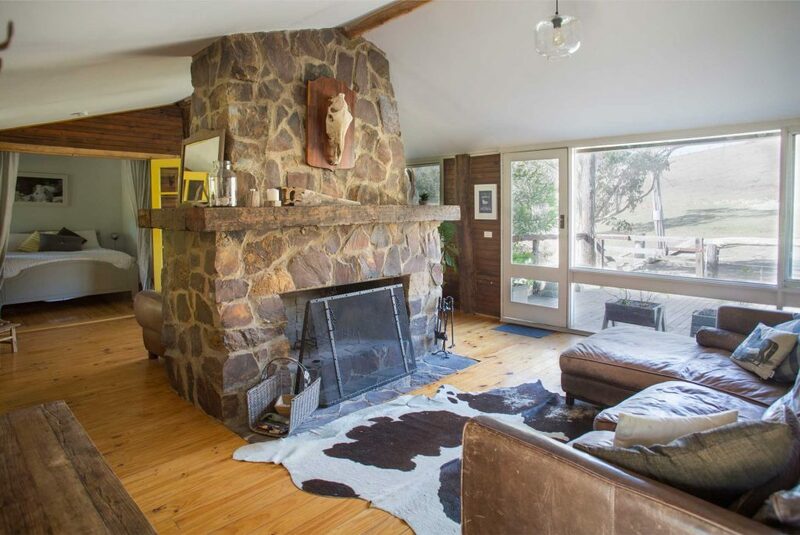 One of the original farm houses of Healesville built in the 1930’s, Enda Cottage has been beautifully restored to accommodate up to six guests in a fully self-contained home. With 3 bedrooms; large fully-equipped kitchen; separate bathroom; ensuite off the master bedroom; bbq facilities and outdoor entertainment area. 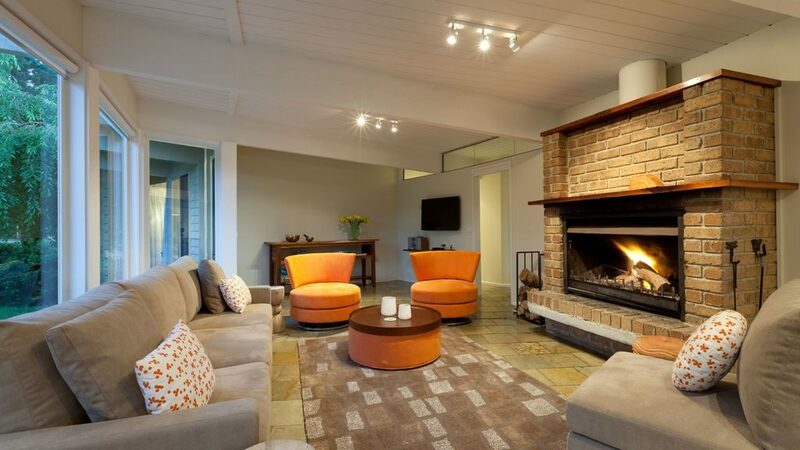 Enda Cottage provides the perfect space for a family or group of friends to enjoy all the attractions of the Yarra Valley in comfort and style. Only 1.3km from the centre of the Healesville township, distilleries; cellar doors; wildlife sanctuaries and more are only moments away. One of the most intriguing designs, in a pristine location. We simply can’t take our eyes of the Nissen Hut at Glenlowren, Dixon Creek. A historic building re-imagined as 5 star accommodation, this style of hut was actually commonly used as military barracks. The space now features a blissfully luxurious spa bath, log fire and fully equipped and state-of-the-art kitchen facilities. Set on 100 acres of farm land, this is just one of three secluded bed and breakfast options available at this fabulous location. 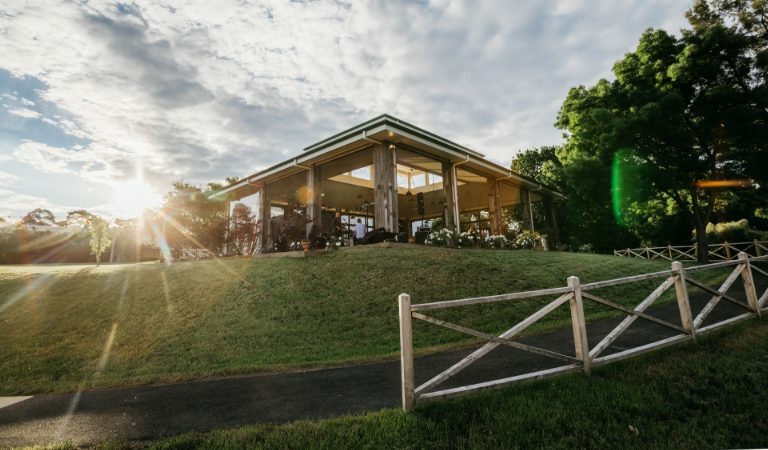 Wake up to stunning panoramic views over immaculately maintained gardens and lakes, each b&b positioned to allow complete privacy and escape from the pressures of day to day life. 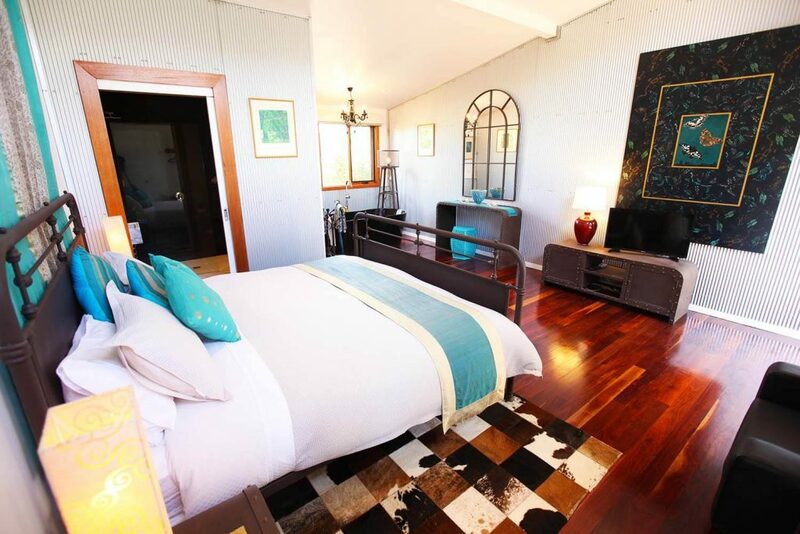 Chose to stay at the Glenlowren Cottage for luxury self-contained comfort in a 19th century restored settler’s home. While the Glenlowren Garden Suite option is newly renovated and actually a converted section of an old school house. Now a one bedroom suite which looks out onto sprawling paddocks; hills; gardens; and lake, the toughest part of a stay at Glenlowren is deciding which style of accommodation to choose! 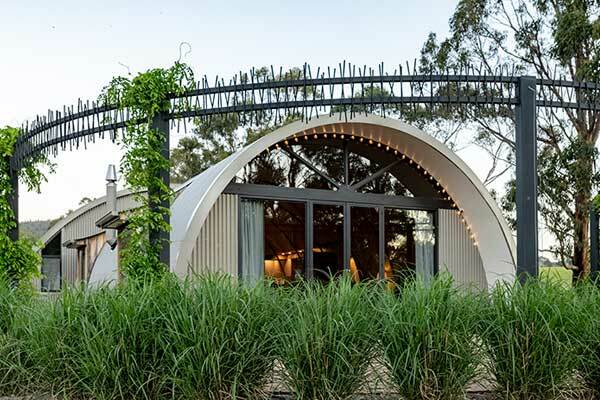 Just outside Yarra Glen you’ll find this unique and welcoming hideaway, only moments from some of the Yarra Valley’s best wineries and restaurants. 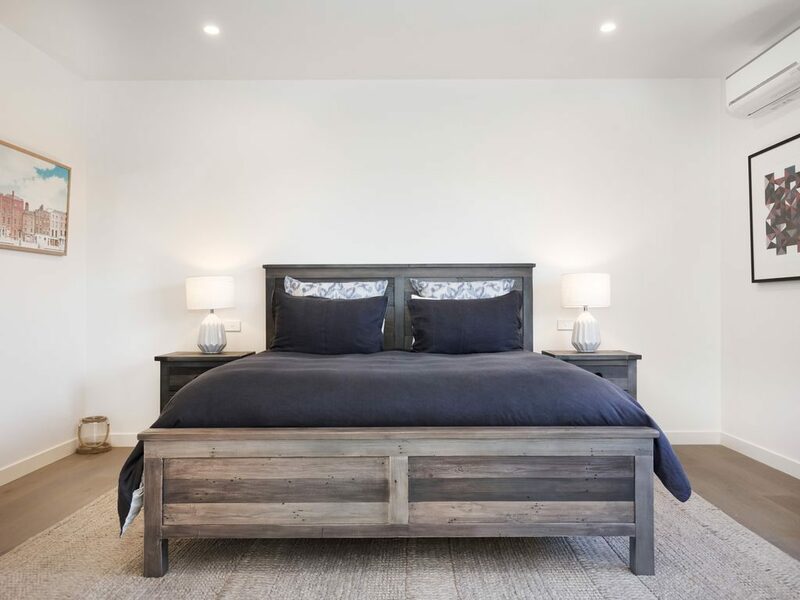 The Studio is split between a lower level with fully equipped kitchen and lounge area with a charming rustic design, and a large bedroom with a king bed and ensuite on the upper level, with polished hard wood floors and deep relaxing bathtub. 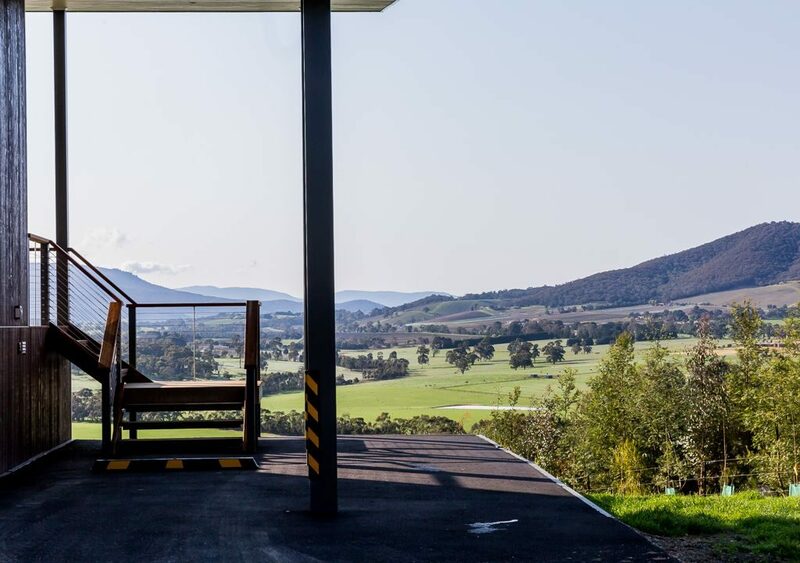 Venture out to the patio on the lower level to admire the sweeping Valley views while sampling the best local cheese and wine the Yarra Valley has to offer. What sets this property aside? There’s a gallery onsite which showcases resident artist and Master Potter Ted Secombe’s amazing works. What more could you ask for? Relax and unwind with extended family or a group of friends in this beautifully appointed house that sleeps 10 comfortably. Rex’s is a great find for families with children, as it has a billiards table, games/play nook for little people, and fabulous child-friendly gardens to explore and run around in. 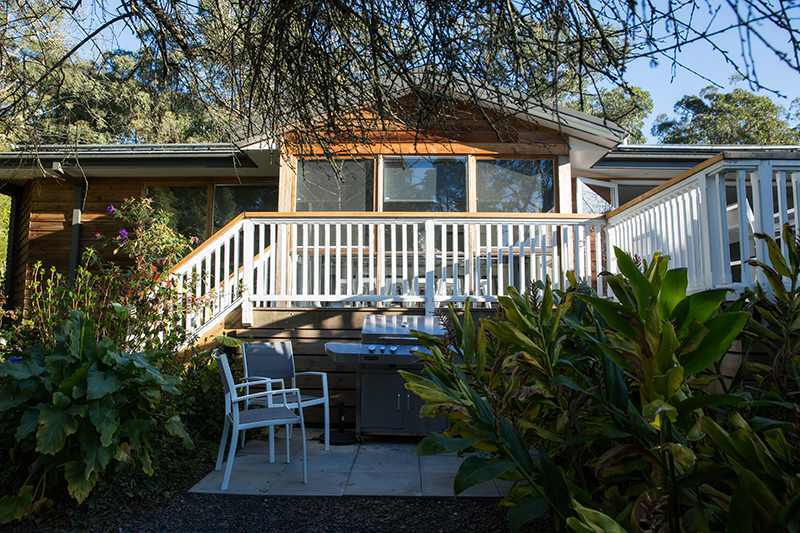 You’ll often spot native birds and wildlife from the deck including kookaburras, kangaroos and wombats and as you relax with drinks around the fire pit in the evening, listen out for the possums as they scamper in the trees nearby. At Rex’s you’re just minutes from Healesville Sanctuary, a short drive into the lovely town of Healesville with its array of shops, pubs, cafes and restaurants, and of course close to the Yarra Valley’s superb wineries. 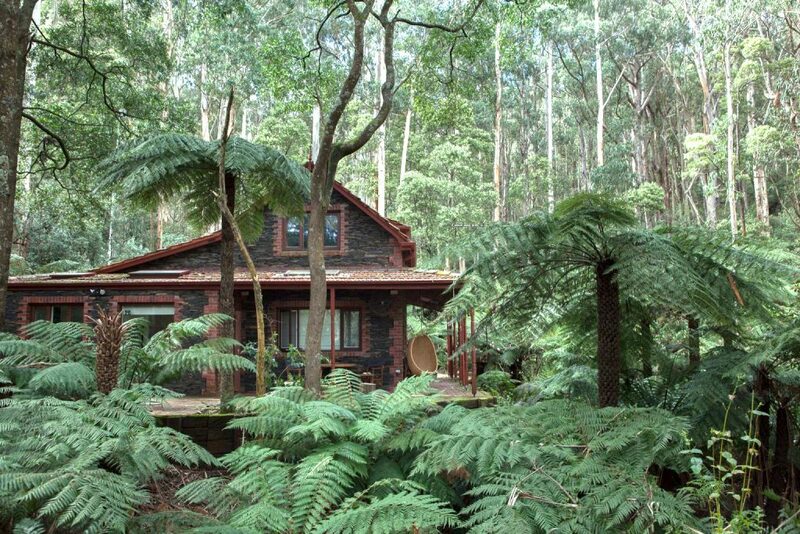 Olivia’s in the Forest is a personal project that is now shared with the public – a breathtaking slate house nestled into the forest of Mount Toolebewong. Originally a private retreat for the owners, the detail and care are on show. From the selection of books in the library to the furnishings and luxury-equipped kitchen, there is a personal touch to everything here. Enjoy the seclusion of the native forest, cooking over the open fire pit and listening to the bird calls. While only a few minutes from Healesville and numerous wineries, you’ll be reluctant to leave until you really need to restock. 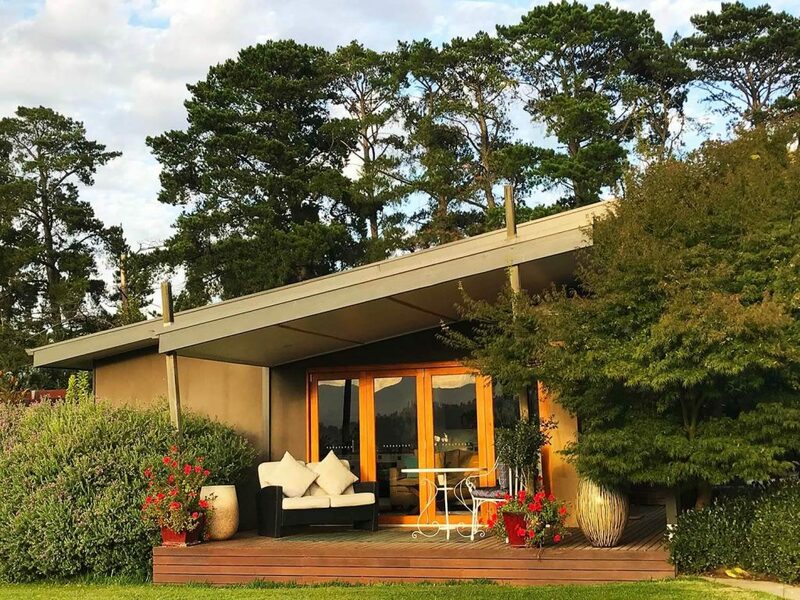 A little further out from the classic Yarra Valley hotspots, the Warburton Motel strikes the balance between wine trails and remote natural splendour. 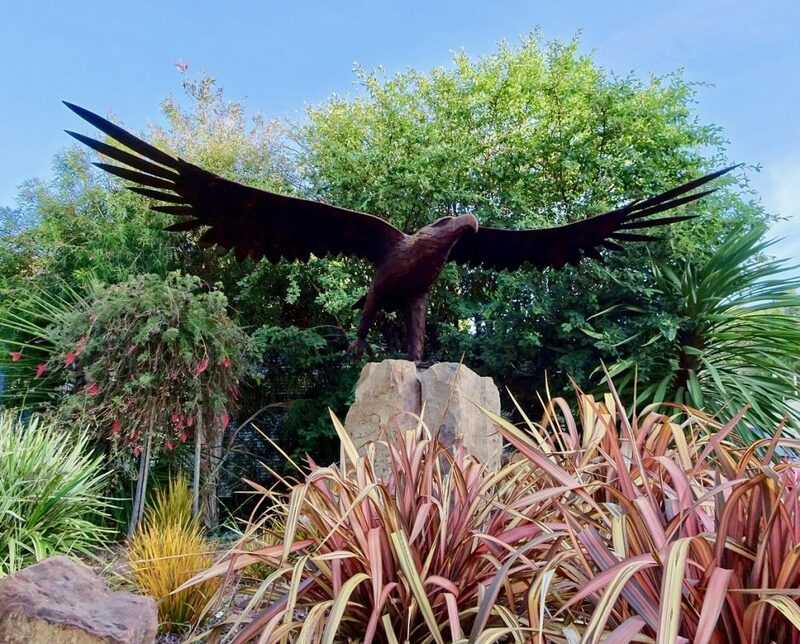 The independent motel offers comfortable and affordable rooms that can boast of being the closest accommodation to stunning Mt Donna Buang, California Redwood Forest and Rainforest Gallery. It’s the perfect place to spend half a day cycling through Victoria’s natural splendour and the other half touring the vineyards. 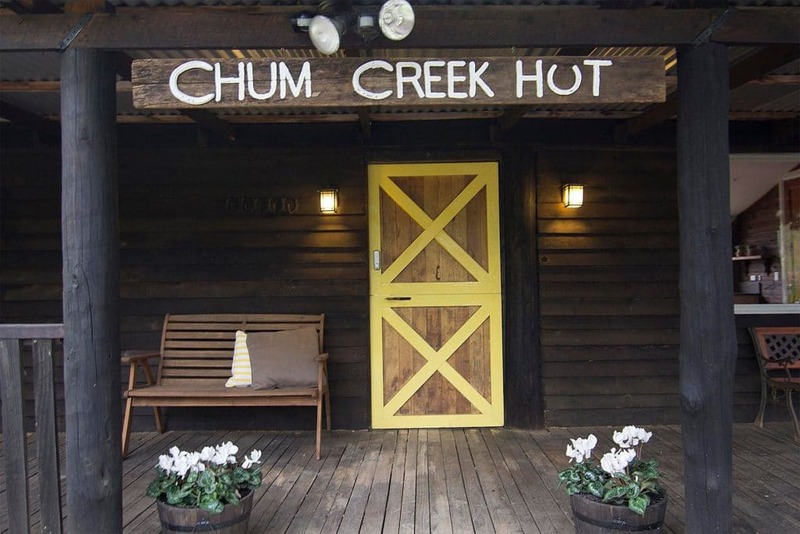 Chum Creek Horse Rides & Huts offer amazing Yarra Valley Horse Trail Rides with spectacular views of the Yarra Valley and mountains accompanied by Australia’s most experienced trail guides. They also offer a range of ‘Huts. 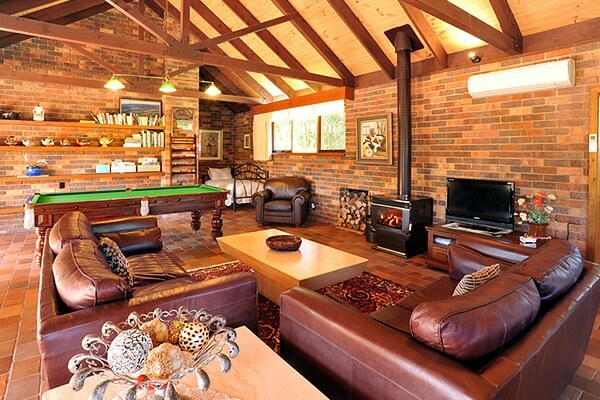 These include the ‘Chum Creek Hut’ which sleeps 6 people in the three-bedroom accommodation and features the Yarra Valley’s best fireplace, large spa, barbecue and dining facilities. This Hut was recently a national finalist in Stayz most romantic category. They also offer the ‘Loft Hut’ which sleeps up to 4 people and includes a fireplace and a Japanese soaking bath. Situated on a large stretch of farmland, Langbrook Estate offers accommodation of a two bedroom cottage or two one-bedroom apartments to those looking for a comfortable stay in a bucolic setting. The estate is home to both vineyards and cattle, and offers amazing access to Yarra Valley bushland and mountain vistas. 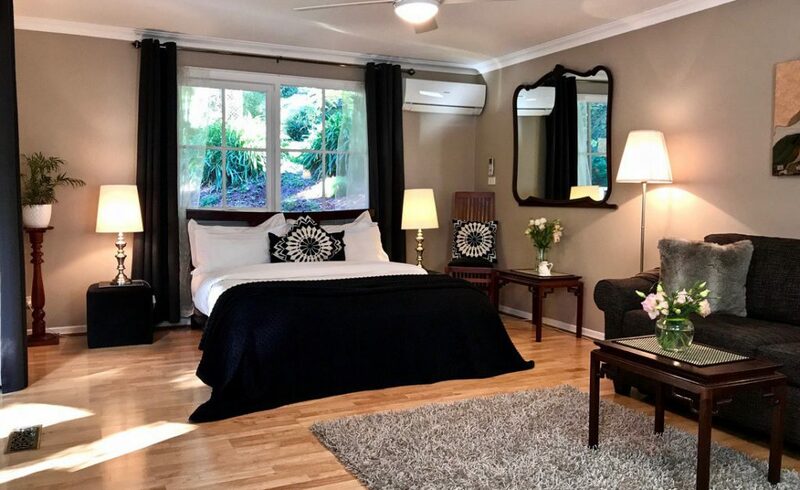 The two bedroom cottage features a stunning open living space with billiard table, while all visitors have access to swimming pool, tennis courts and more. This is one where the pictures can’t do justice to the lush reality. 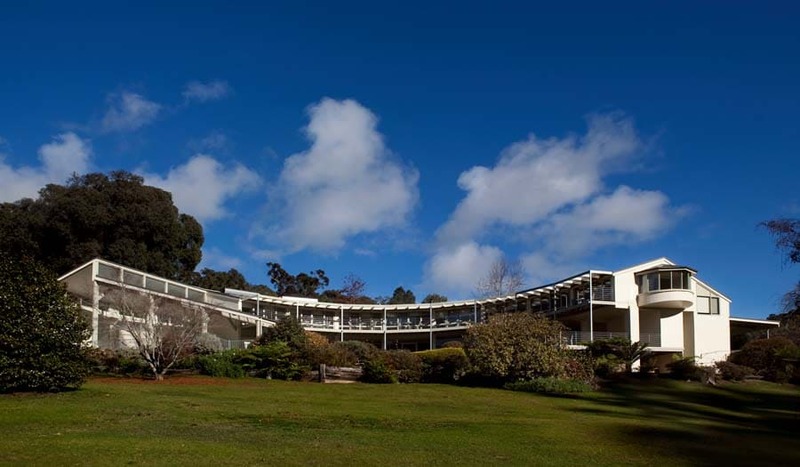 Straddling the urban/rural divide without compromising on scenery, Yarra Ranges Country Apartment is the perfectly located self-contained accommodation. Centrally located to the Yarra Valley and the Dandenong Ranges, it’s also a 55-minute drive to the CBD with additional public transport options. To meet the needs of relaxation and productivity alike, every bell and whistle has been included. 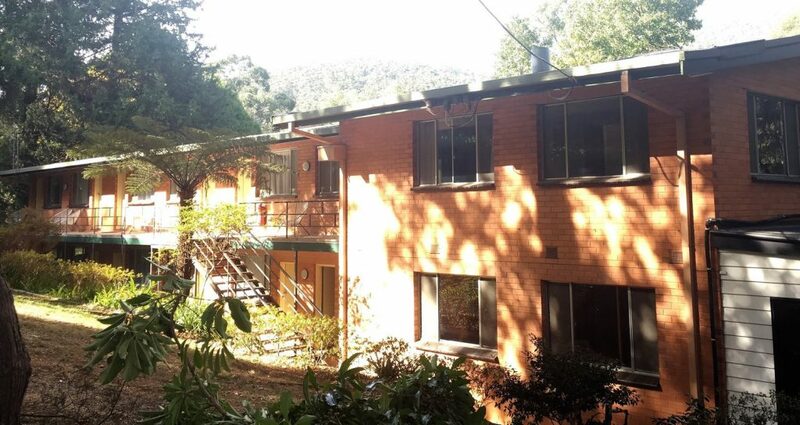 If you’re looking for a base to take an extended look at the Yarra Valley, need to be close to Melbourne CBD or split the difference, Yarra Ranges Country Apartment is the comfortable and convenient option. 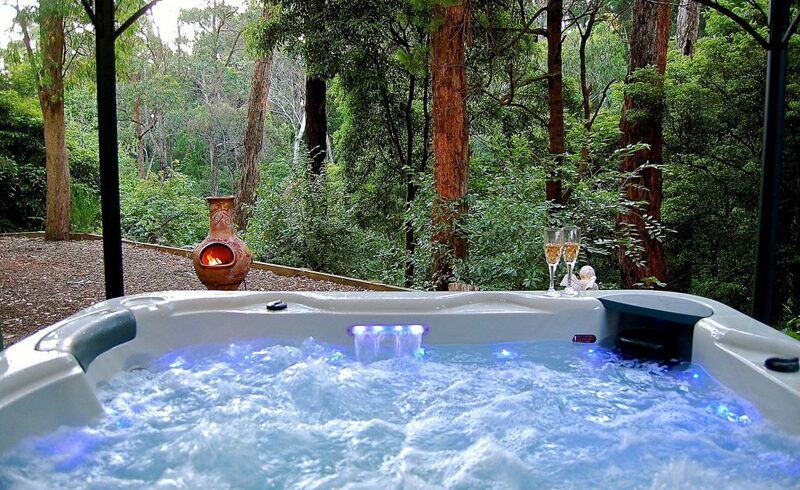 The private, thoughtfully furnished B+B style accommodation at Mt Evelyn Retreat offers a spacious studio-style with jacuzzi and deck looking out onto incredible native forest. 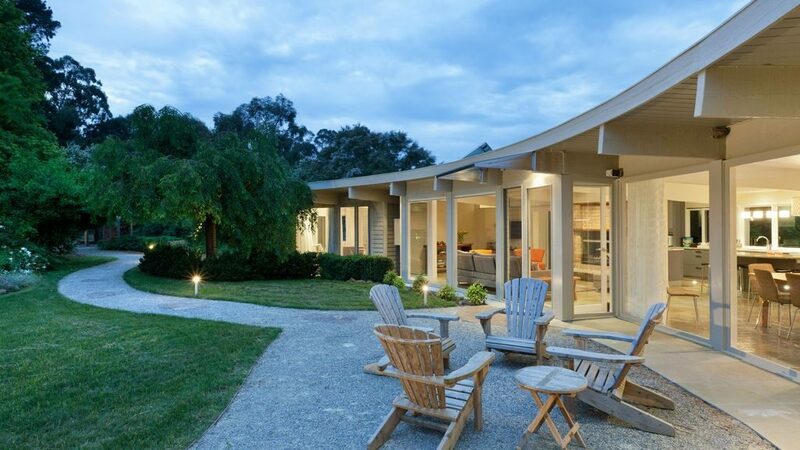 It’s the perfect retreat for the end of the day or end of week spent in the equidistant Yarra Valley wine country, Dandenong Ranges or Melbourne CBD. Secluded, stylish and understated, you’ll appreciate the visits of native birds and animals with your morning coffee or evening spa. 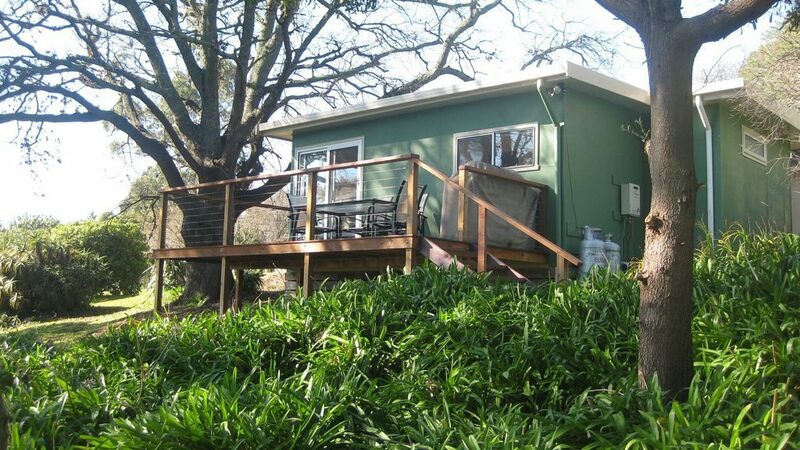 Two minutes from Marysville, this cute cottage can accommodate up to eight guests in four double bedrooms. With an open plan design centred around a large entertainment/lounge area, this is a perfect, easy stay for a larger family or group. A short drive to the wineries of the Yarra Valley, Lithgow Falls is also nearby to trout and salmon fishing at the Buxton Farm, as well as Lake Mountain skiing areas during the winter months. Although a bit further from Melbourne and the Yarra Valley, its charm is in the easy living and unique activities in the surrounds. The Gatehouse at Villa Raedward features two luxury suites with contrasting design themes, a thoughtful approach that extends to the expansive gardens. Divided in the Yarra and Melba suites, both feature architecturally designed courtyards overlooking the accessible, curated villa gardens. 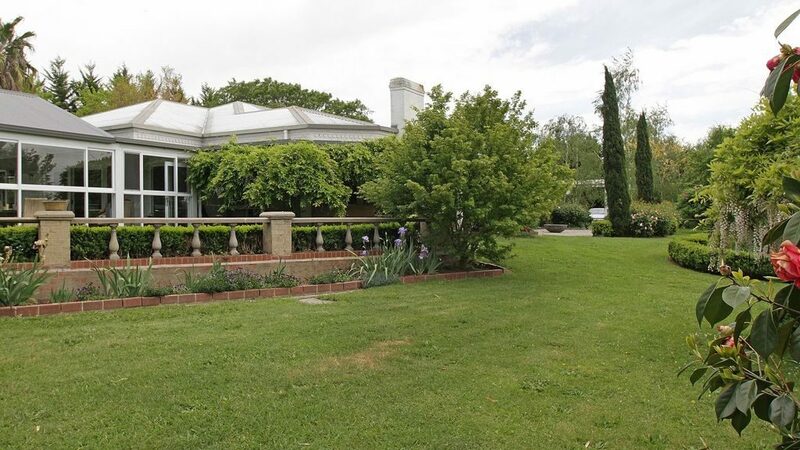 Centrally located with a short distance to everything else in Coldstream and Yarra Glen, this is the spot to unwind and luxuriate surrounded by carefully selected and cared for flora. At the centre of Victoria’s famous Yarra Valley and the Dandenong Ranges. 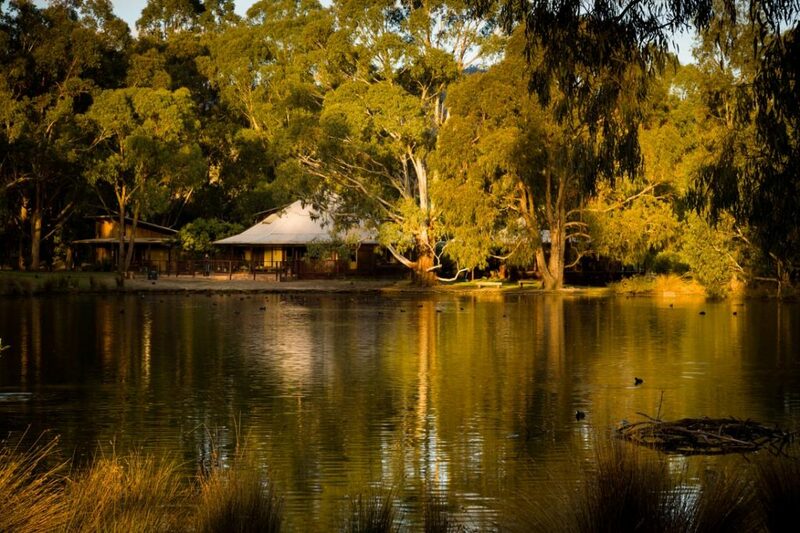 Lilydale Pine Hill Caravan Park offer tourism sites in a rural setting, open spaces with native landscaping and an abundance of local bird life. RVs, caravans, large rigs or camper vans – there is a site to suit your need. One and two bedroom cabins are available for your weekend getaway or special event. Cambridge cottages encompasses three secluded lodgings, including two period cottages with a classic and romantic feel. All are appointed with beautiful heritage furnishings. 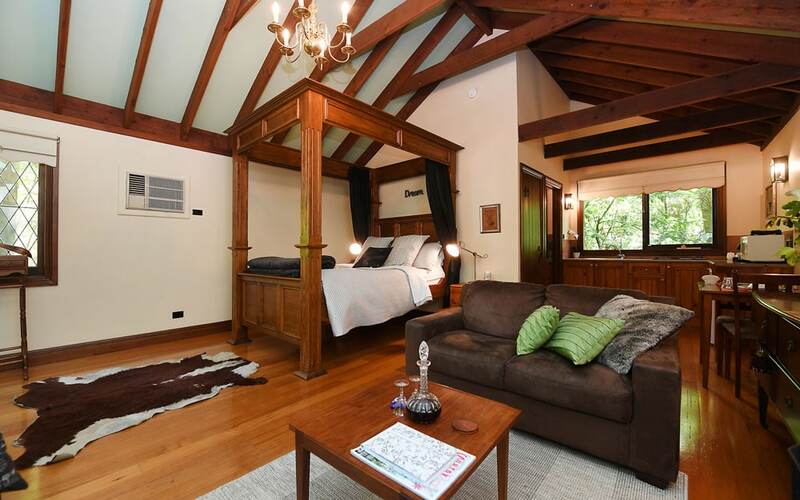 The difficulty is choosing between them – do you want the mezzanine sleepout of the Kookaburra cottage, the enormous wood panelled four poster bed of the Currawong Cottage or the tree-lined deck and barbecue area of the Cambridge apartment? 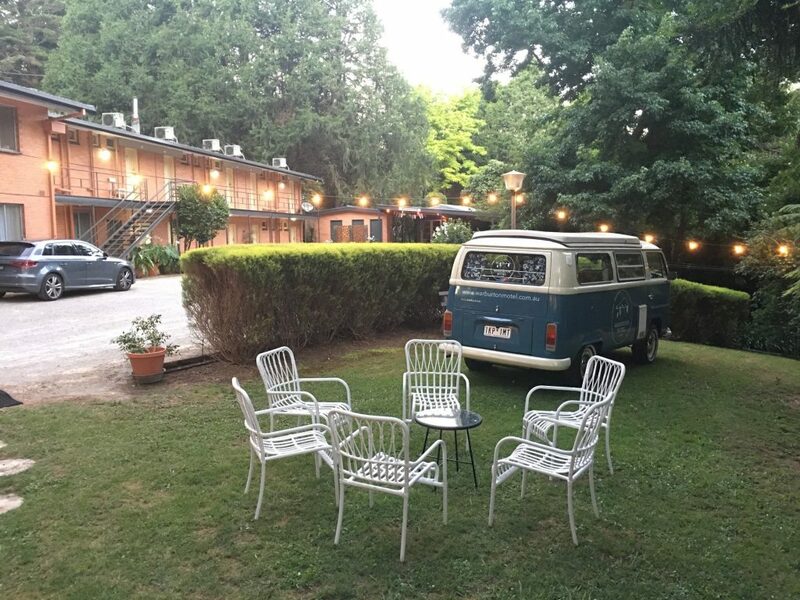 You’ll feel like you’ve stepped into a story from the past regardless, ready for some imagination and relaxation. Set on 130 acres of predominantly untouched bush land, this luxurious private resort is breathtaking from inside and out. Hazeldene is a private residence, exclusively yours for the duration of the stay. 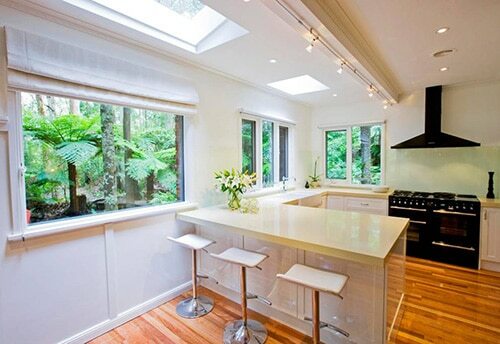 This cleverly designed building is designed to maximised the the sights and natural light, in harmony with nature. Whether you enjoy the views, tennis court, swimming pool and eight rooms along with up to sixteen guests or just by yourself is the choice you have to make. Perched on a hillside, these picturesque heritage cottages offer one-, two- and three-bedroom variations, all fully self-contained with beautiful queen size beds, log fires and stunning views. The four Charnwood Cottages each have their own character and small variations to suit your needs. They are fully appointed with several featuring spa baths. 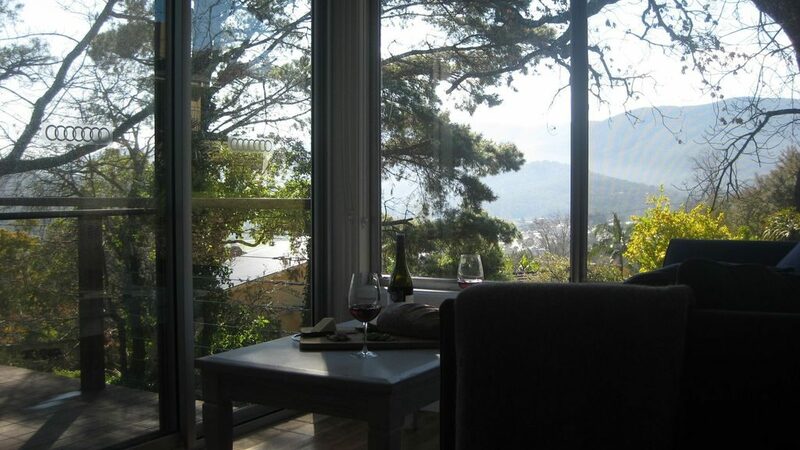 On arrival you will be provided with gourmet breakfast hampers and its just a short walk to Warburton village for further nourishment. 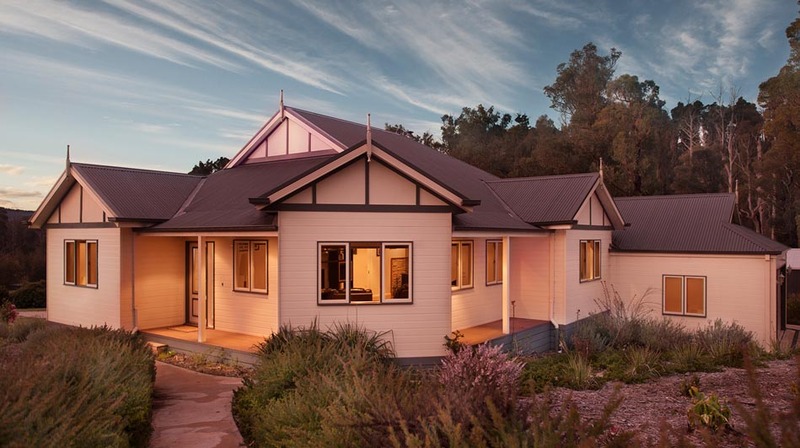 Flowerdale Estate, Strath Creek – best for accommodation near to the Yarra Valley! While technically outside the Yarra Valley, it’s a short scenic drive over the hill and a perfect place to base your Yarra Valley travels, with the added bonus of being reasonable distance to Beechworth and Rutherglen wine regions as well. Flowerdale offers modern facilities with a rustic feel. Range of rooms from smaller units, a larger guesthouse for big groups and the spectacular Homestead Lounge. Flowerdale has extensive site facilities, including a billiards room, tennis courts and solar-heated swimming pool. Rejuvenate with a massage or unwind in our guest lounge with its open fire and library. Explore all the Yarra Valley has to offer with a Wine Compass tour today.